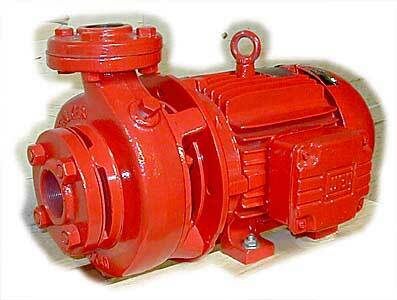 Stalker Pumps Compact Motor Pumps are designed using heavy material sections for strength and durability. This range is specially suited for agricultural, domestic and industrial applications. Casing/Impeller/Intermediate Cover/ Motor End Coupling – Cast Iron to AS1830. Fasteners – Zn Coated 4.6 – 8.8 grade. Gaskets/Seals – Nitrile or Insertion Rubber. Mechanical Seal – DIN 24960 – Rubber Bellows Type. Shaft thrower electric motor bearing protection. Ball Bearings (Motor) – Long life maintenance free. All major components are manufactured from Cast Iron complying within AS1830 150 to 220 Mpa UTS. All Gaskets and Seals utilised on assembly are manufactured from proven long life materials. The Ball Bearings fitted to the rotating element are long life heavy duty which can be supplied in sealed for life or grease lubricated assemblies. Mechanical seals are to DIN 24960 and are rubber bellows type with hard faced seats. Electric Motors are fitted to suit Tropical conditions.